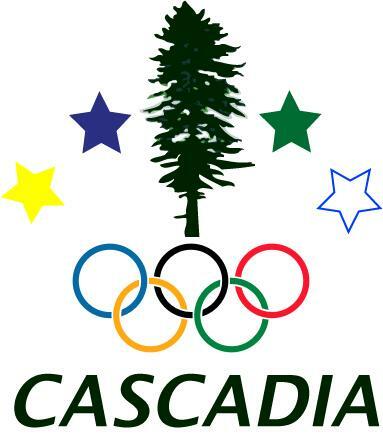 The official roster for the 2014 Cascadia Olympians is up! and we will be updating this page as the results come in. /u/Khavanon has been at it again, and after compiling this for London 2012, has completed his list of more than 70 athletes who will be representing Cascadia at this years 2014 Sochi Olympics. If you’re interested, follow along and we’ll see how well our athletes do, and where Cascadia would rank if it were set apart from the U.S. and Canada. This year is quite B.C. dominant. Part of it is because B.C. represents 13% of Canadians, while Oregon and Washington represents 3% of the Americans combined. Another part of it is due to B.C.’s Winter Olympic importance to Canada. Plus, since Cascadia hosted the last Winter Olympics in Vancouver, there’s all of those nice facilities sitting around there. This time Idaho, the part of Montana on this side of the divide, and all of Alaska is included. No one from the Jefferson part of California is competing. Individuals who reside in Cascadia, but originate from elsewhere are also included, but please let us know if someone has been left off or made any mistakes. (NR) in the world if including team medals. (NR) in the world if excluding team medals. *Rankings calculated after removing Cascadians from USA/Canada’s non-team medal count. *Effect of team medals in rankings noted due to some team members coming from outside Cascadia. Seattle Sounders win 2015 Cascadia Cup!